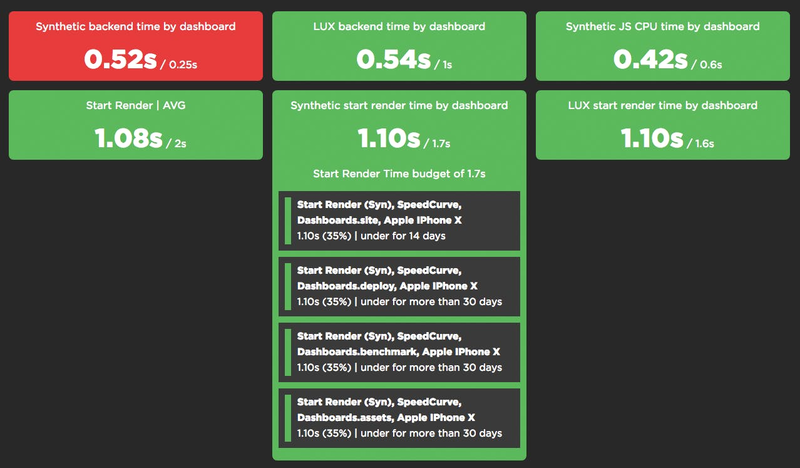 The Status dashboard is a visualization that lets you see at a glance all your web performance budgets, as well as which budgets have been violated. These are all important features, but we wanted to do more. 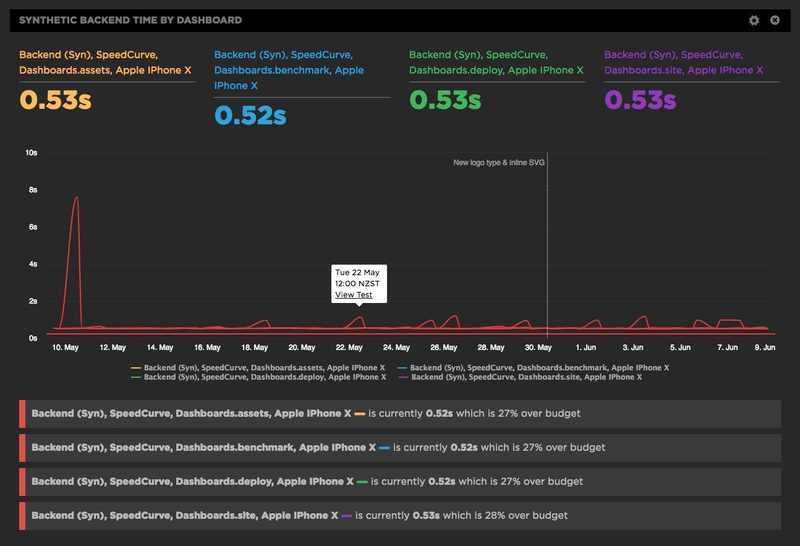 We wanted to make it even easier for you to see at a glance the status of all your performance budgets so that you can quickly home in on the metrics that are hurting the most, and then drill down to diagnose the issues that are affecting performance the most. The Status dashboard is available as in your global left-hand navbar. Click on any budget to drill down into each metric. Let's take a look at a performance budget that's been violated. In the red pane below, you can see that while the target backend time is 0.25 seconds, the actual backend time is 0.52 seconds. When you expand this metric, you can also see that not only is backend time at least 27% over budget across all segments in this budget, it's been that way for more than 30 days. Your test results page contains a lot of great information, including suggested performance fixes for that page. Here are the recommendations for the page we've been tracking. If you've already created custom charts and assigned performance budgets for them, then your Status dashboard is live right now. Check it out and give us your feedback! If you haven't already done so, create some custom charts within your Favorites dashboard. Within those charts, create a performance budget for each chart. Go to your Status dashboard to see at a glance which of your metrics are over and under budget. As always, we welcome your feedback! Please leave a reaction or comment below.